Welcome to Giant Teddy’s Bear Travel Department Shipping Information Page! What Are My Shipping Options & Do You Ship to My Location? 5. Click on the button to 'Estimate Shipping & Tax' and all of your available Shipping Options will be shown including estimated transit time & cost. Please Note: Shipping rates are based on size/weight and destination. For accuracy in shipping costs, it is important that you have selected the correct desired bear size. Express orders placed by 11:00 AM PST will be shipped out the same business day. See Delivery Map for Estimated Standard Shipping Time – During checkout, you will get a more precise delivery estimate based on your order date, delivery zip code and method of shipping chosen. Order by 11:00 AM PST (M-F) and your order is shipped same business day & will be delivered within 2-3 business days. There are NO deliveries with this service on Saturdays or Sundays. Order by 11:00 AM PST (M-F) and your order is shipped the same business day**. Delivery will be within 2 business days to most US addresses, remote areas sometimes require additional transit time. There are NO deliveries with this service on Saturdays or Sundays. • Our shipping charges reflect rates for USPS or FedEx. However, we reserve the right to ship these items through comparable services (such as UPS, DHL) without prior notification. • Expedited and Rush shipments are sometimes shipped via USPS (United States Postal Service) Express Mail. • Please allow 24-48 hours to process Free & Standard Shipping orders, which will be shipped the following business day** after processing. Express Shipping options such as Overnight Shipping are not subject to processing time and will ship as described in Express Shipping section. • A valid telephone number is required for any order placed on our website. We reserve the right to request verification of billing address and phone number at any time, and do so for most orders with a different "ship to" and "bill to" address. • All packages are shipped out from our warehouse in Anaheim, CA. • The earliest possible delivery is the next business day** if Overnight Delivery is available for your shipping location and you select this option. 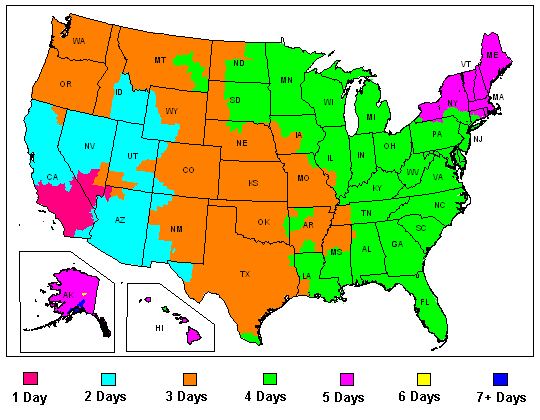 • All order deadlines and hours of operation are based on PST here in California, USA. Please adjust for your time zone. • All orders must be placed Mon-Fri before 11am PST, to ship the next business day, unless Overnight Shipping is selected. • An order tracking number will be generated once your order has shipped. It can take up to 24 hours for this number to be active & available. • Weather conditions, natural disasters, and other situations beyond the control of Giant Teddy may delay delivery. What are Business Days as they relate to ordering & delivery? • Shipments will be delivered on Monday-Friday non-holiday business days and on Saturday if Saturday delivery service is noted as an option. • When placing your order online, leave a note in the “order instructions/comments” field in Step 5 of your ‘Secure Checkout’ with the exact date you would like your order delivered on – if we are unable to meet your request, we will contact you to let you know. • Please see all shipping options for order cut-off and delivery speed and make sure you select a shipping option that would allow delivery for your requested day. EXAMPLE: if the date is in 2 days and you select Free Shipping, we can’t deliver on the requested date. • We will make every attempt to meet your request, but do not offer a guarantee. *Requested delivery dates will only be considered for orders in the Continental US. Estimate the Length of Time for STANDARD SHIPPING packages to get from our Anaheim, CA warehouse to delivery areas in the US. *Estimates Only - does not include order processing time and does not apply to Free Shipping or any Express delivery options such as Overnight. Once you place your order, you will get an accurate estimate at checkout based on your specific delivery zip code and delivery speed option. Packages are shipped via USPS Standard Parcel (5-20 Business Days). Shipping rates, fees and delivery times may vary on packages shipped to non-contiguous states and territories. Please allow additional time for orders shipped to these addresses. • Larger packages will be shipped using (USPS) Parcel Select/Post-Large. With this shipping method, packages are typically put on a barge (flatbed boat), and delivery will be delayed for up to 4 weeks. • When shipping via USPS, there are only 2 scans;One at point of origin & one upon arrival at point of destination. We do not ship to P.O. Boxes – please be sure to provide the actual street address ...orders submitted with P.O. Box for shipping address will not be processed. Please select "United States" as the country for the shipping address when shipping to any APO or FPO locations. These locations are still US addresses even though they are internationally located. Please Note: Delivery to military posts can take several days because of the distance of these locations. Due to world events, we cannot guarantee delivery to any military addresses. Please allow additional time for orders shipped to these addresses. • Giant Teddy is happy to send bears to people you love, no matter where they live! We send to many International locations – To see if we are currently shipping to your desired location, please use the above instructions. • A valid telephone number is required for any order placed on our website. We reserve the right to request verification of billing address and phone number at any time, and do so for most orders with a different "ship to" and "bill to" address. International orders also require the recipient’s valid telephone number. Note: Due to some country’s regulations, shipping may not be available due to size/weight restrictions. • International shipments may experience delays upon arrival due to customs inspections - regulations vary by country. Giant Teddy does not have control over international packages once they have left our warehouse and we are not responsible for customs, duties or taxes associated with your international shipment. Customers are responsible for any applicable duties, taxes or fees imposed by their country or the carrier on their behalf to get the package through customs. International customers are responsible for all applicable duties and taxes. Please contact your local customs office for detailed information. Customs, import duties (if any) and local taxes are assessed when the package arrives in the specified country of delivery. These additional fees are the responsibility of the recipient. PLEASE NOTE: If you or your country's customs rejects your shipment, or the courier company for any reason deems your package as undeliverable, we will refund you for price of the refused item(s) once we receive the item(s) back in re-sellable condition. However, you are responsible for your shipping charges plus any other fees that may apply. If additional fees do apply, they will be taken out of your refund. If you feel the error is due to a mistake on the part of the courier company, you will have to speak with them directly about getting your fees refunded. • Giant Teddy invoices are NOT sent with packages. A packing list with Shipper's address, phone number, order number & date, receivers address, method of shipping, & general item info will be included in the box, without pricing. • Giant Teddy does NOT offer a direct messenger or same day delivery service. All deliveries are made to the recipient’s shipping address you enter (no signature required), or held for pick up at a local FedEx or USPS station. • When shipping to multiple addresses, please be sure to place each order separately. Our order system does not offer multiple “Ship To” address options within a single order. • Some countries have size restrictions. If you experience any issues at checkout, please Contact Us & we will be more than happy to assist you with your order. Bears travel to you in either a plain cardboard box or one with the Giant Teddy logo printed on the outside (shipments vary as to type of box used.) Please note, our company name “Giant Teddy” will still appear on the shipping label even on plain cardboard boxes. Bears 50in and over are shipped in a vacuum-sealed bag inside the cardboard box. Instructions on how to remove your bear safely from the vacuum-sealed bag are included with every shipment. Unwrap carefully and watch your bear grow to life-size!